Welcome to Episode 8 of my Xbox One Minecraft world. This time I continue one project and start a new one. If you missed Episode 7 you can watch it here. Last time I started a roadway that I could use to move about the world a little easier. I've been working on it and it's as long as I want it... for now. This walkway has taken all of my surplus of stone so I went back to the mines to mine some more. 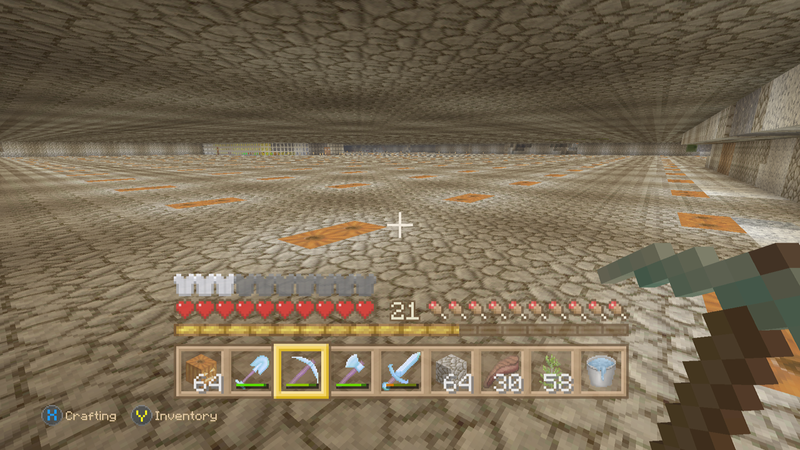 My underground stone mine is getting pretty big. 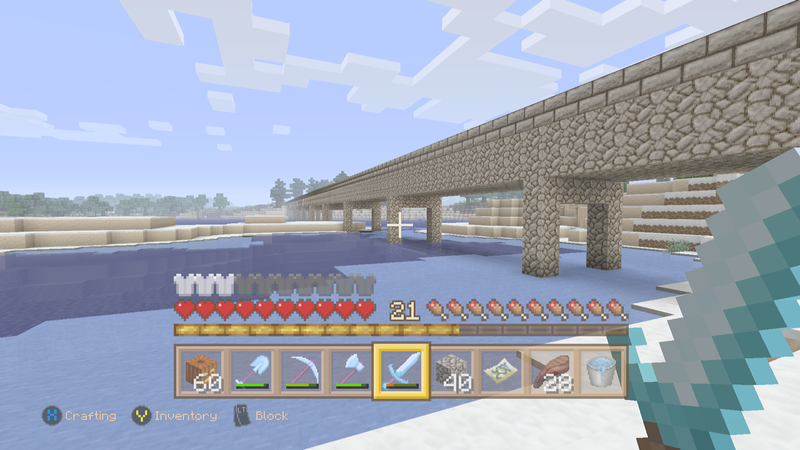 I had to build a bridge over a fairly big river and it wasn't much fun to build but I finished it and looks pretty good. You can the bridge below and even though the pillars aren't necessary I put them in to make it look a little more realistic. While building the pillars my OCD kicked in and I ran the pillars all the way to the bottom of the water. Now we'll go from project one to project two. I've always had a healthy obsession with ancient Egypt so I've built some pyramids over the years. My original world had a smaller stone one. My next world, the one that's in the older Episodes, I built the three main pyramids which were bigger than the original stone one. 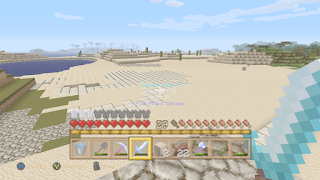 I had to level a huge patch of sand for the materials, and in that space I was going to build a whole Egyptian city to go with it but I never got the chance to. One day I'll post some photos of what it looked like. So I began to look for a desert biome that was pretty close to my road making it easier to access my regular base. Here is where I'm going to build. This first pyramid is going to be authentic in size so the base will be 230 blocks which is about double what my biggest pyramid was. It is huge, much bigger than I thought it would be. 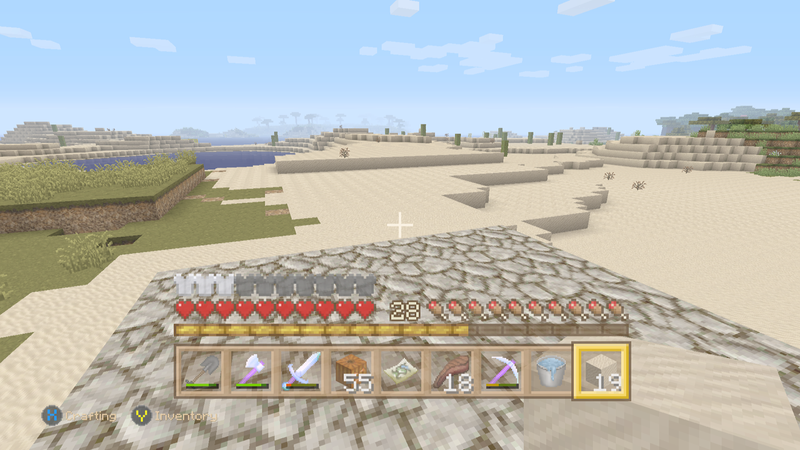 Because of this I'm having to mine a ton of sand, sandstone and dirt. I ran through my complete surplus very quickly so I had to stop to mine more supplies. 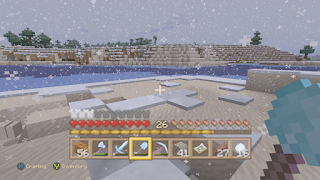 I've been playing Minecraft for many years and while gathering sand I ran into a snow storm which I've never experienced before. In Episode 7 I mentioned that random crafting left me with pickaxes with silk touch which were useless to me but I am now using them to mine sandstone which I need a lot of so that works out for me. This is what the pyramid looks like as of now. Pretty nonexistent right now but give it time and it will look awesome. Tune it for the next Episode for more zany Minecraft fun!